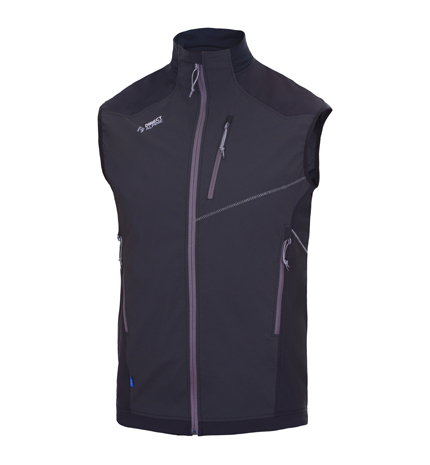 Men's Vests, Made in Europe - Direct Alpine s.r.o. New! The light, highly-packable Spike vest is the essential companion for any sportsperson, hiker or traveler. The time proven elastic material, Swing Cool protects the central part of the body against wind and, at the same time, thanks to its high breathability, also keeps you dry. The precise fitting cut of the jacket and elasticated underarm parts adapt to your base layer clothing, so do not limit movement. 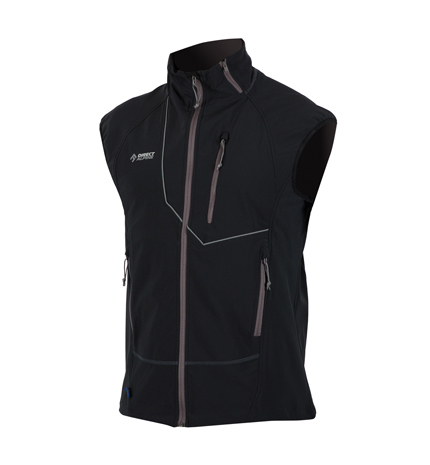 The Spike vest can be used for all aerobic activities throughout the year – cycling, in-line skating, running, hiking, climbing or even alpine or cross-country skiing. An extraordinary light and very packable body warmer. The inner material is Pertex Microlight supplemented with highly durable Pertex Quantum on the collar and shoulders. Modern, elastic, highly breathable Alpha-Polartec insulation, now without a lining for reduced weight and even better aeration. Its anatomical cut, in combination with the functional materials used, creates a comfortable, light insulation layer particularly suitable for aerobic activities. Thanks to its wonderful wind resistance it ensures protection even in the most inclement climatic conditions, minimizing the loss of body temperature. A bodywarmer which you will be sure to want with you on any mountain trip, whether alpine sking, or on outings or as a wonderful, light backup for any kind of outdoor activity. 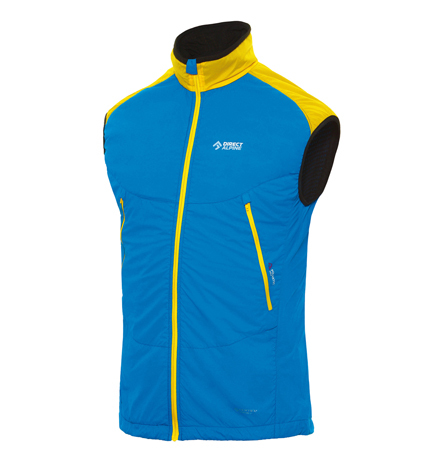 Universal sports vest for active movement during trekking, climbing, on a bike, ski alpinism, cross-country skiing. The comfortable barrier material with high level of permeability along with anatomically precise cut ensures sufficient protection, a high level of mobility and good weight. The internal transport layer of the material increases the physiological functionality of the model.